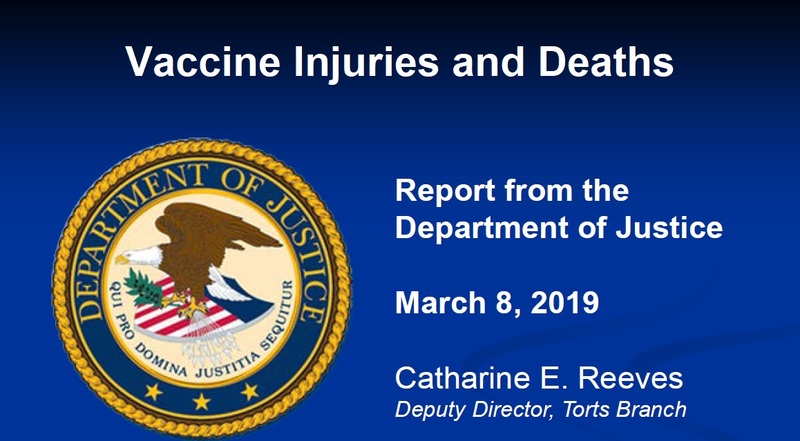 The federal government Advisory Commission on Childhood Vaccines (ACCV) under the U.S. Department of Health and Human Services just concluded their first meeting of 2019 on March 8th. 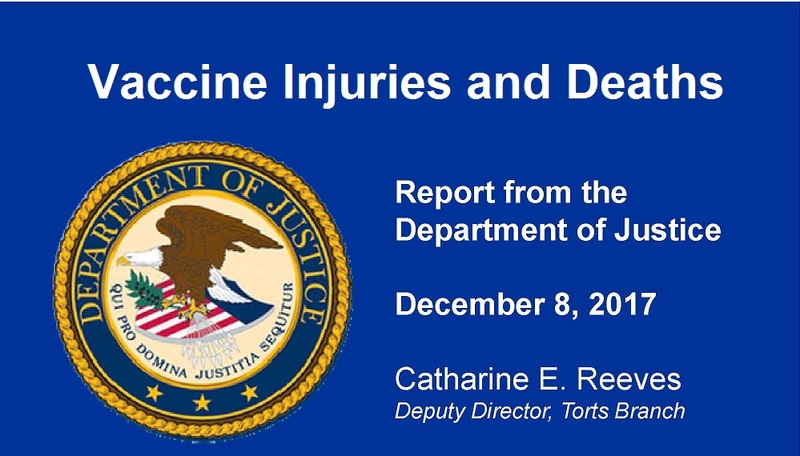 These quarterly meetings include a report from the Department of Justice (DOJ) on cases settled for vaccine injuries and deaths as mandated by the National Vaccine Injury Compensation Program (NVICP). The NVICP was started as a result of a law passed in 1986 that gave pharmaceutical companies total legal immunity from being sued due to injuries and deaths resulting from vaccines. Drug manufacturers in the vaccine market can now create as many new vaccines as they desire, with no risk of being sued if their product causes injury or death. This has resulted in a huge increase of vaccines entering the market, and the U.S. government, through the Centers for Disease Control (CDC), is the largest purchaser of these vaccines, spending in excess of $5 billion taxpayer dollars each year to purchase these vaccines. The CDC's annual budget of $5 BILLION to purchase vaccines from pharmaceutical companies with American taxpayer funds, and the NVICP law which gives legal immunity to the pharmaceutical industry for injuries and deaths due to vaccines, are facts that are routinely censored and withheld from the public in the corporate-sponsored "mainstream" media, as well as in government legislative hearings that seek to mandate vaccines by force. If you or a family member is injured or dies from vaccines, you must sue the federal government and go up against their attorneys in this special vaccine court. Many cases are litigated for years before a settlement is reached, as can be seen from the most current report. One flu shot victim litigated for 7 years before reaching a settlement, and one Gardasil HPV vaccine victim litigated for over 5 years before reaching a settlement, for example. Another Gardasil HPV vaccine victim who suffered cardiac arrest and death, took over 3 years to settle. 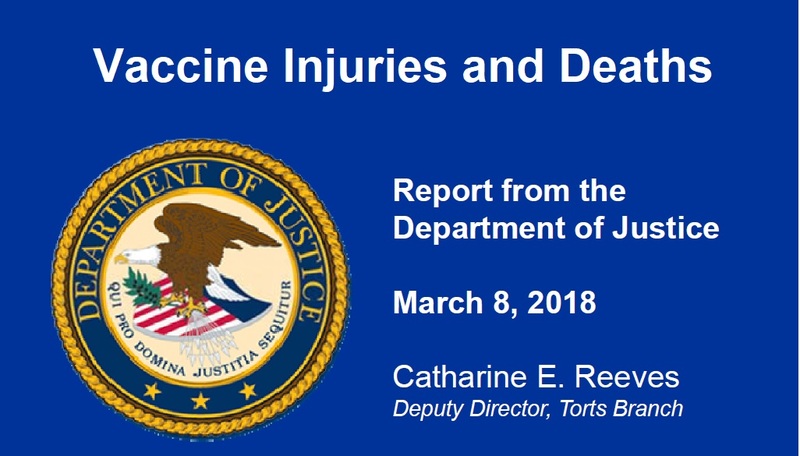 As far as we know, Health Impact News is the only media source that publishes these DOJ reports on vaccine injuries and deaths each quarter. 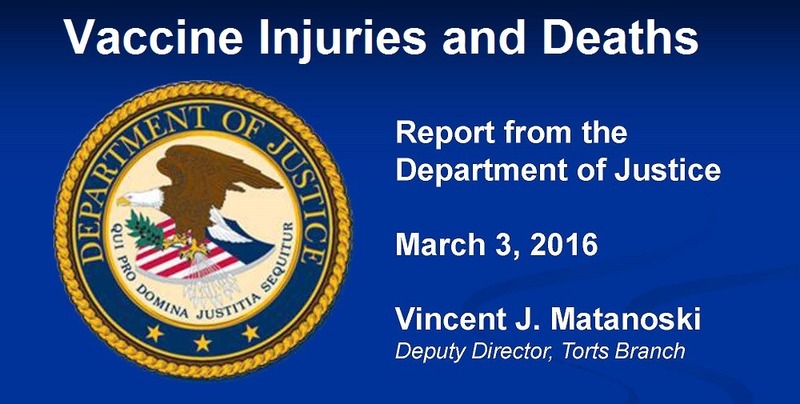 Here is the March, 2019 report. 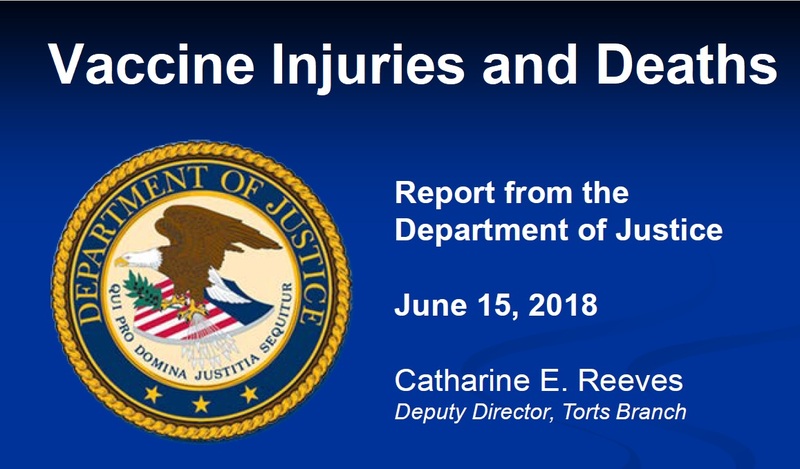 The total amount of damages paid out by the U.S. Government so far in 2019 for vaccine injuries and deaths is over $110 MILLION. The 2018 push for the flu shot is now in full swing. 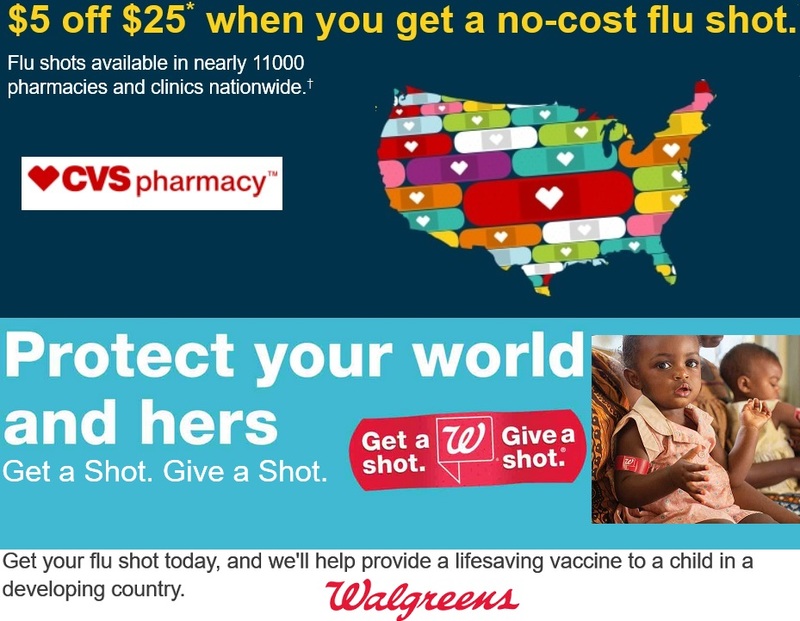 Pharmacies are advertising enticing offers, including free flu shots with discounts on other products (CVS), and the opportunity to give a free flu shot to children in Africa (Walgreens). These retail outlets offer no-wait shots, making it appear to be as easy as purchasing candy or tissue paper in your visit to your local drug store. 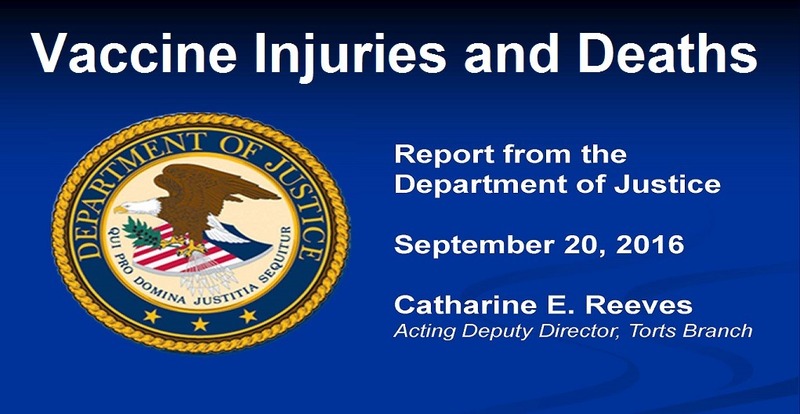 What these retail outlets will most likely fail to mention, however, is that according to the Department of Justice's quarterly reports listing compensations for injuries and deaths due to vaccines from the Vaccine Court, the flu shot is the most dangerous vaccine in the U.S. with crippling and fatal side effects. How many people taking advantage of "free" flu shots will know that there is a long list of debilitating side effects from the flu shot, as compensated by the U.S. Government in the federal Vaccine Court? These side effects include (among others): GBS - Guillain–Barré syndrome is a rapid-onset muscle weakness caused by the immune system damaging the peripheral nervous system. TM - Transverse myelitis is an inflammation of both sides of one section of the spinal cord. This neurological disorder often damages the insulating material covering nerve cell fibers (myelin). ADEM - Acute disseminated encephalomyelitis, or acute demyelinating encephalomyelitis, is a rare autoimmune disease marked by a sudden, widespread attack of inflammation in the brain and spinal cord. CIDP - Chronic inflammatory demyelinating polyneuropathy is a neurological disorder -- a condition that targets your body's nerves. MS - Multiple sclerosis is a demyelinating disease in which the insulating covers of nerve cells in the brain and spinal cord are damaged. SIRVA - SIRVA stands for “Shoulder Injury Related to Vaccine Administration.” SIRVA can lead to intense, prolonged pain, limited range of motion, and shoulder-related injuries such as Adhesive Capsulitis or Frozen Shoulder Syndrome. Myasthenia gravis is a long-term neuromuscular disease that leads to varying degrees of skeletal muscle weakness. Peripheral Neuropathy is damage to or disease affecting nerves, which may impair sensation, movement, gland or organ function, or other aspects of health, depending on the type of nerve affected. DEATH by the flu vaccine. All of these debilitating side effects were reported as being compensated in recent DOJ reports. The federal government Advisory Commission on Childhood Vaccines (ACCV) under the U.S. Department of Health and Human Services just concluded their first meeting of 2017 on September 8th. The Commission is supposed to meet quarterly, but missed their first two meetings this year (2017). Health Impact News sources have told us that the probable reason the Commission missed their March and June 2017 meetings was likely due to a lack of a quorum, as several member's terms had expired, and new members of the Commission possibly had not yet been appointed under the Trump administration. 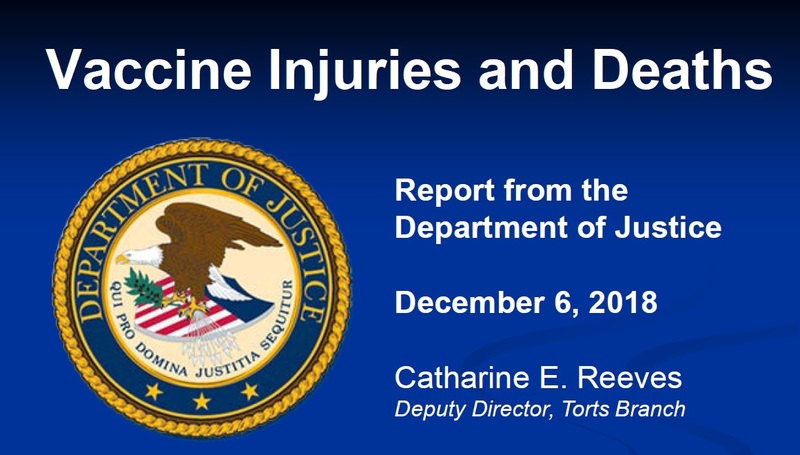 These quarterly meetings include a report from the Department of Justice (DOJ) on cases settled for vaccine injuries and deaths as mandated by the National Vaccine Injury Compensation Program (NVICP). The NVICP was started as a result of a law passed in 1986 that gave pharmaceutical companies total legal immunity from being sued due to injuries and deaths resulting from vaccines. Drug manufacturers in the vaccine market can now create as many new vaccines as they desire, with no risk of being sued if their product causes injury or death. This has resulted in a huge increase of vaccines entering the market, and the U.S. government, through the Centers for Disease Control (CDC), is the largest purchaser of these vaccines, spending in excess of $4 billion taxpayer dollars each year to purchase these vaccines. If you or a family member is injured or dies from vaccines, you must sue the federal government in this special vaccine court. Many cases are litigated for years before a settlement is reached. As far as we know, Health Impact News is the only media source that publishes these reports each quarter. 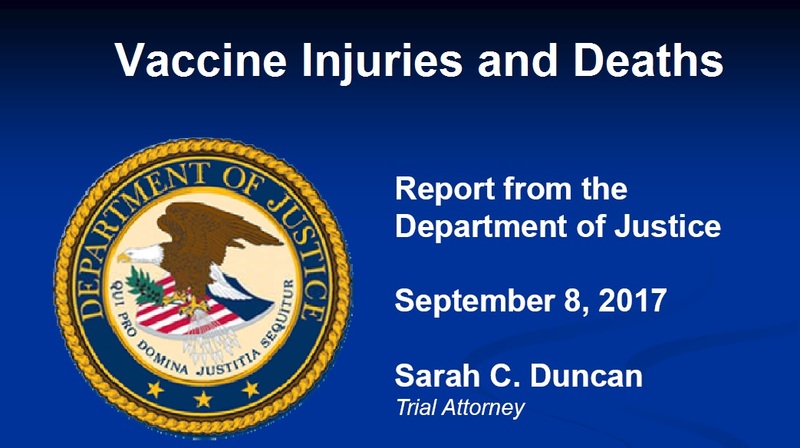 332 cases were listed in the current report, specifying the vaccine, the injury or death, and the amount of time the case was pending before settlement. 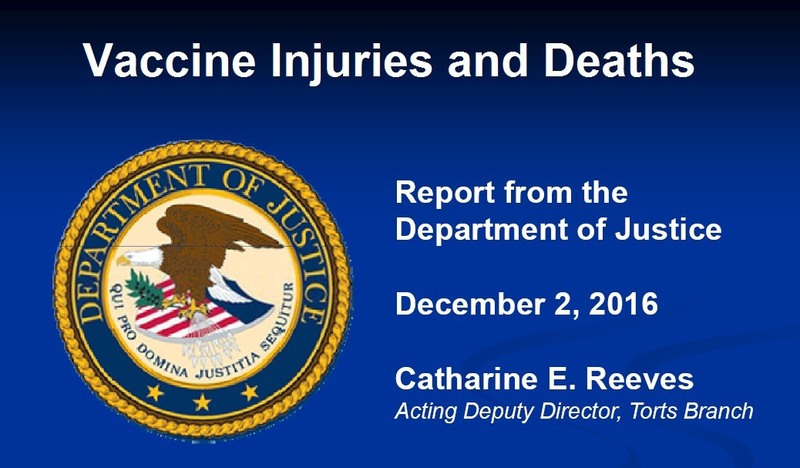 275 of the 332 cases were for injuries due to the flu vaccine, and there were 5 deaths, 4 of them related to the flu vaccine. The flu vaccine is clearly the most dangerous vaccine in the U.S., and yet it is sold in stores and can be routinely obtained as easily as over-the-counter medicines with no consultation with a physician.